Connects the concepts students are learning in class to the real world in which they will practice. Creates a learning environment that strengthens their understanding and mastery of the content. Promotes critical thinking and clinical decision making. Emphasizes patient care by highlighting the how and why of clinical presentation and treatment plans. 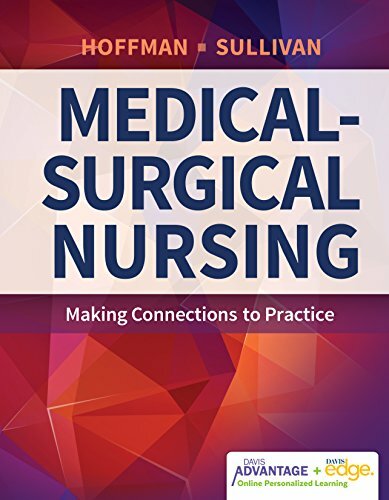 Focuses on the patient-centered role of the nurse. Presents nursing management using the nursing process to identify and reinforce the nurse's responsibilities as a member of an inter-professional care team. Focuses on the diseases and disorders that will be encountered most frequently in practice. Correlates nursing interventions with the relevant physiologic and pathophysiologic content. Incorporates the critical care content important for new nurses. Creates a Personalized Learning Plan for each student, beginning with a pre-test for each module that assesses their strengths and weaknesses. Charts the path for each student to follow to ensure they master the content. Creates personalized learning plans that ensure students master the content. Offers multiple paths to learning success through an immersive, interactive, multi-media experience with a wealth of quizzes, animations, and dynamic exercises. Tracks each student’s progress every step of the way in their Gradebooks; students know exactly how they’re doing and where they need to focus their studies. Features progressive quizzing, customized to each student’s knowledge level that challenges them to reach higher levels of understanding, and identify the areas in which they need additional review. Provides comprehensive rationales for correct and incorrect answers that teach students how to analyze questions critically—ensuring they understand why they answered a question correctly, and when they don’t, how to improve. Includes self-grading that provides immediate feedback as each quiz is completed. Test-taking strategies and tips prepare students for course exams, ATI, HESI, and NCLEX® exams. Quiz builder lets students select practice quizzes by specific topics or concepts. Student Success Center monitors students’ overall progress and identifies their strengths and weaknesses.